It has become fashionable of late to dismiss Terminator 3: Rise of the Machines (2003). I'm not certain exactly why this is the case, especially since the satisfactory threequel boasted a solid action director in Jonathan Mostow, exhibited some narrative ingenuity, and -- most importantly -- featured a driving and relentless sense of inevitability. Judgment Day had been delayed by the actions of Sarah and John Connor in Terminator 2 (1991), but not undone, according to Mostow's third film. Accordingly, the third Terminator film ended with a horrifying and yet oddly beautiful vision: nuclear missiles detonating across our Mother Earth; flower blossoms of utter destruction changing forever the foundation of man's future. These images adroitly combined the pastoral and natural (missile silos in middle American farm states like Kansas) with the technological and apocalyptic. As audience members, we had waited since 1984 to see the events that would lead to Kyle Reese's grim, post-apocalyptic world. Terminator 3 didn't disappoint in that regard, and that nuclear coda left me, for one, with a lump in my throat. In fact, I admired Terminator 3 for ending on such a downbeat (if morbidly beautiful...) note and for not punting the "apocalypse" into some future Terminator film, as would have been the easy and safe choice. Impressively, Terminator 3: Rise of the Machines was also suffused with a driving sense of momentum, of the future finally come to pass. No matter how hard John Connor tried, he was not going to escape his destiny this time around. The modern world was going to be destroyed...and he was going to have to step up to become the leader that his mother, Reese and the others knew he could be. No more temporal tricks or cheats. No more plot gimmicks to keep the audience ensconced in our safe, high-tech "normal" world of the 2000s. Terminator 3: Rise of the Machines was apocalypse...now. Other critics mostly appreciated Terminator 3: Rise of the Machines at the time of its theatrical release too (it had a 70% aggregate score on Rotten Tomatoes), and audiences enjoyed it to the tune of over 400 million dollars. And yet there's been this temptation by many to put it down, perhaps because the memory of Cameron's stellar contributions -- The Terminator (1984) and Terminator 2: Judgment Day (1991) -- remains so enduring. 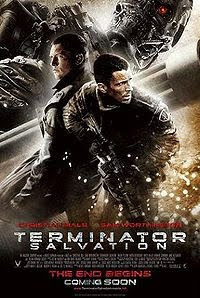 But now, in light of McG's underwhelming Terminator: Salvation (2009), the third film in the Terminator cycle looks like an absolute masterpiece. The new film is a colossal disappointment, a flat-line thriller that never raises the heartbeat, never engages the heart, and never, for a moment, crafts a world or characters that we can believe in. It substitutes loud explosions for thrills; and inserts off-the-shelf platitudes about the "human heart" for genuine character development. Most disturbingly, John Connor (previously played by Edward Furlong and Nick Stahl) has been transformed from quirky, ingenious individualist into a buff, strong-but-silent, dunder-headed action hero willing to leap (before looking....) into any danger, small or large. The character's inaugural scene in Terminator: Salvation makes this trait a literal truth. Now an infantryman of the year 2018, Connor (Christian Bale) -- without a second look -- dives into a vast subterranean machine complex, attached to nothing but a tether. Connor can apparently defy the laws of gravity since he literally stops on a dime in mid-air -- without injuring his back or neck -- to light a torch. Then, amusingly, at the end of the sequence, we see Connor grunting and straining to climb out of the underground installation. Free-falling and stopping his downward momentum in an instant? No problem. In the same vein, a later scene depicts Connor jumping out of an airborne helicopter into a turbulent ocean, at the foot of a massive tidal wave, in order to reach his chain-of-command on a submarine. Connor's physical abilities would make Superman blush. On set tantrums aside, the once-brilliant Christian Bale (think American Psycho ...) has managed to appear less versatile and less emotionally-involved with each successive film role he's tackled, and Terminator: Salvation continues that unfortunate trend towards monosyllabic monotone. John Connor, the boy who grew up "trained" by his mother to be a warrior but who consciously and explicitly selected a different, unconventional path (even forbidding his pet terminator from killing...) has been transformed into nothing but a gun-carrying, thick-necked, well-muscled commando who boasts a tactical advantage: knowledge of the future. And whether you believe this guy is a "false prophet" or "the key to salvation," would you -- as his military commander -- deploy him in the field where he could easily be killed; thus giving the enemy (Skynet) a substantial propaganda victory? Terminator: Salvation is filled with violations of story logic just like that. For instance, John Connor's wife, Kate (now played by a glazed-looking Bryce Dallas Howard...) must have stayed at a Holiday Inn Express between the events of Terminator 3 and Terminator: Salvation because the former veterinarian is now performing successful human heart transplant surgery. While I believe that Kate could indeed become an accomplished medic in the fifteen year span between Terminator 3 and Terminator: Salvation, I don't believe the technology or education would be available to her in a post-nuclear world to learn the skills of heart transplant surgery. It's just...moronic; Terminator: Salvation's final, lame gambit. In broad terms, Terminator: Salvation's world does not much seem to resemble the horrifying future we caught glimpses of in the first two Terminator films. In Cameron's film, the post-apocalyptic future was a world of perpetual night, darkness and gloom. Mankind barely survived, living atop mountainous layers of ash and debris (and human corpses...), in an unending nuclear winter. Terminators prowled and stalked by night, obliterating all resistance with dazzling, destructive lasers. A wicked joke in the original Terminator found a group of dirty, cold humans huddled around a TV set in an underground bunker. The light from the TV reflected on their sad, devastated faces, but as the camera swiveled around, we quickly registered that the set wasn't operational; that it was an elaborate fireplace. Yet in Terminator: Salvation, the world around devastated Los Angeles is sun-lit, temperate, and mostly pretty safe. The resistance conveniently equips itself with Sony Vaio computer interface devices (product placement alert! ), and fields military jets, helicopters, jeeps and submarines. The resistance also seems to have no problem remaining equipped with guns and ammo. Even more baffling is the fact that all the humans in the film appear relatively healthy and well-fed. You'd think that acquiring uncontaminated food and water might be a full-time job after a worldwide nuclear winter, but Connor is buff, and Moon Bloodgood is certainly...fit. Nobody mentions radiation or radiation poisoning in the film, either. Sadly, this is the first Terminator film in which the action scenes have failed to thrill. One particular action set-piece is a real disaster: the night-time pursuit of Marcus Wright (Sam Worthington) after his escape from the resistance headquarters. At the time of this chase, Connor is already struggling with his understanding of Wright, and has even come to sense that the man may be more than he seems...a possible ally. And yet Connor sends out attack helicopters, jeeps and soldiers to blow the guy away anyway...to napalm him back into the Stone Age. It's an unmotivated action sequence, especially since Connor -- after sending in the cavalry -- makes a deal with Wright anyway. This whole sequence succeeds only in slowing down the film's march towards the climax. 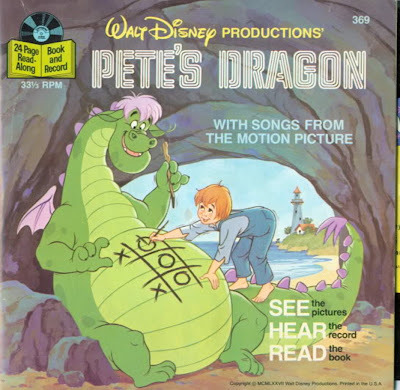 Like much of the film, the scene makes no narrative sense. I can only guess why, but Terminator: Salvation -- action scenes included -- is oddly lethargic and listless. It's clear now that Arnold Schwarzenegger's presence in the previous films made some of the clunkier moments in the franchise bearable with his over-sized charisma and tongue-in-cheek sense of humor. Devoid of Arnie's catalyzing presence, Salvation is dull and mechanical. A CGI Arnold shows up late in the proceedings and is fun, if pretty darn phony-looking. There are some nice touches here, no doubt. I enjoyed hearing Linda Hamilton's voice on the Sarah Connor cassettes. I also thought it was a nice touch that, while going rogue, Connor listens to Guns N Roses (his soundtrack of choice in Terminator 2). If only there was more of that rebellious spirit left in this Connor. And finally, Anton Yelchin, who impressed me as Chekov in the new Star Trek (2009), is equally impressive as Kyle Reese, even if given relatively little to do in this story. "The human condition no longer applies to you." I do very much admire the first two Cameron films. But because I'm an action/sci-fi/movie junkie, I've taken each subsequent sequel in, regardless. The plain fact is both 3 & 4 pale next to the first two, IMO (with the exception that each has improved the creature effects for the Terminators with each successive sequel). My problem with '3' was Nick Stahl's (and the director's) portrayal of John Connor. Perhaps, it was too wimpy for my tastes. But, I wholeheartedly agree that it getting off the safe path with that ending was brilliant (grim... but where the story needed to go). Your take on McG's sequel is a valid criticism, though at least you couldn't say his John Connor was wimpy (unbelievable certainly, but I guess I can take that more than being wishy-washy). But, you know what really bothers me? The very first Terminator, at his first appearance (at the Griffith Park Observatory), it had a brutal efficiency at dispatching a human being (pull out the heart... done). The T-1000? Fast work with knives and stabbing weapons. McG's supposedly killer T-800 only seems to know that getting its hand on a human (one as vital as John Connor) means you have to throw it around, first. Come on! This was a fun look back at the series, John. Thanks for this. Great comment! I remember I felt that Nick Stahl's Connor was in the process of "becoming" a stronger -- but still human -- leader, and that much of the third movie involved how his relationship with Kate would sort of boost his strength and confidence. I agree he came off as wishy-washy sometimes, but he was still a human individual, by my eyes. The Bale version of Connor is just such a pro forma "action hero" with so little of the quirkiness we saw in Furlong and Stahl. I mean, I never had the impression that John Connor was going to grow up to be a physical powerhouse, but rather a brilliant, unconventional tactician. I supposed the latter: that Connor's gift as a leader was to inspire; to do the unconventional...not to dive out of helicopters into tidal waves. I thought that the TV show was actually quite good and very compelling at times. I was always impressed with how good the show looked with the budget they had to work with, which was infinitely smaller than McG's film. Not to mention the writing was strong and the casting very good as well. It's a shame that it didn't last beyond 2 season. I totally agree with you. I admired The Sarah Connor Chronicles TV show very much. I thought it was terrific. And it ran circles around Salvation, a much larger budgeted production. J.D. and your comments sparked a thought in me. Perhaps, and I completely agree that the SC Chronicles was superior to SALVATION, it's the female-mother perspective/aspect that's the key to what's made this series successful. The first two Cameron movies, the best IMO, had Sara (Linda Hamilton was exceptional) taking lead and struggling with the terrible foreknowledge of what was coming while holding off the threats in the present. If I'd add another criticism of Terminator III, it's the loss of Sara from the narrative (even though the filmmakers attempted to interject Claire Danes as a (poor) substitute). And it's Sara in the Chronicles (along with Summer Glau's female Terminator) that made it compelling, at least for me. Headey is no Hamilton in the role, but she's still good. And having that female lead offered more than the standard male action or solution (something McG knows plenty about). John Connor's role in T2 and the chronicles has to successfully learn/grow AND react with and against that parental figure [I've seen it firsthand in my home, likely you'll see it with your family, John ;-)]. The loss of that dynamic is certainly felt in T3, though they try and compensate. In T4 there's just about none of it in the story (McG didn't see that or those were the cards handed to him). Good call, my friend! I mean, I completely understand if with T4 they wanted to go in a completely different direction and not have Sarah Connor in there or anything like that but the film does suffer as a result. As for the TV show, I totally agree with you that part of what made it so good was the dynamic between John, Sarah and Summer Glau's Terminator, esp. when you had John's growing attraction to the robot. You may be right that Lena Headey is not Linda Hamilton but I agree that she did a bang-up job regardless. Salvation was bad, but wait a minute, Term 3 was bad also. Sure ,it had Arnie, though a very tired looking Arnie. But the role of John Connor was horribly miscast. Nick Stahl? Nick 'how-does-he-have-a-career Stahl? You might as well have cast the washed-out and washed-up Edward Furlong to reprise his role. I could not get by this punk actor playing the future titular leader of the resistance. I also strongly disagree with JKW's assessment of Bale. Add 'The Machinist', Rescue Dawn and the best Batman out of roughly the 1,000 actors who have played that role. I will not bring up his academy award since this review is in 2009, but was 'Public Enemies' released by this review? Bale never mails it in...I even believed him as the yuppie punk in 'Shaft'. Anyway, truth be told...I fell asleep on this film at the 1/2 way point in the theaters and have yet to watch it in it's entirety.